Dr. Stacy Klippenstein, President of Miles Community College (MCC), announced recently that the final funding pieces were in-place to allow MCC to purchase the former Armory site in Miles City. MCC teamed up with the regional economic development group, Southeastern Montana Development Corporation (SEMDC), to identify, structure and secure funding for the purchase. SEMDC provided grant research, structuring assistance, and the submission of three (3) of the grants needed to secure the nearly $1.49 million dollar project. Other funding came from private sources and MCC. The new site and building will provide much needed space for the expansion of MCC’s Heavy Equipment and CDL programs. These popular programs are intended to train students and help bridge the employment gap with regional heavy equipment, transportation, and construction operations. Special thanks go out to not only SEMDC but also Custer County and the City of Miles City for teaming up to apply for a Montana Department of Commerce Community Development Block Grant (CDBG) of $650,000. The Montana Coal Board also granted $50,000 to the cause. The Eastern Montana Brownfield Coalition contributed $21,000 for environmental assessments and the federal Economic Development Agency (EDA) rounded out the grants package with over a $529,000 award. 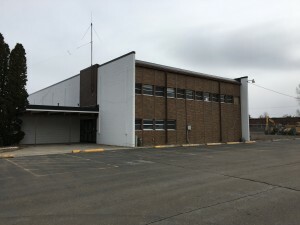 Other support and assistance came from the Miles City Area Economic Development Council (MCAEDC), Great West Engineering, the Governor’s Office of Economic Development, Montana Military Affairs and the Montana Job Service – Miles City Office. Also included in this list are Montana elected officials: Rep. Ken Holmlund, Rep. Geri Custer and Senator Duane Ankney. All three of the Montana Congressional Staffs also contributed. “It was our pleasure to partner with MCC on this success story,” noted SEMDC Executive Director Jim Atchison. “Our Grant Administrator, Julie Emmons, deserves special credit as she did most of the heavy lifting on this very challenging funding structure. She found a way to make it happen and MCC, including the entire region, will benefit for years to come,” added Atchison. For more information, contact Jessie Dufner at MCC, 874-6226 or visit their website at www.milescc.edu. Utilize this link to find out more information about SB 331 in Montana.